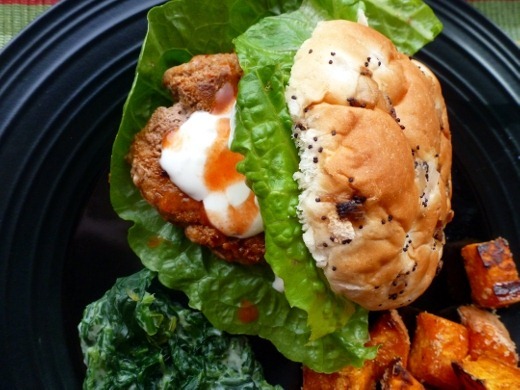 On the menu this evening – Buffalo Turkey Burgers! I found this recipe on the Taste of Home website. The burgers came together easily! 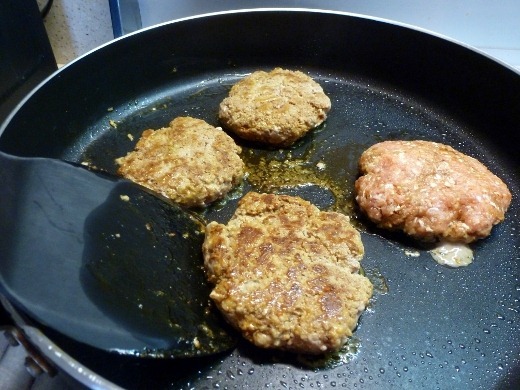 I mixed one pound of lean ground turkey with Frank’s, garlic, cumin, chili powder, salt, and pepper and shaped the mixture into patties. 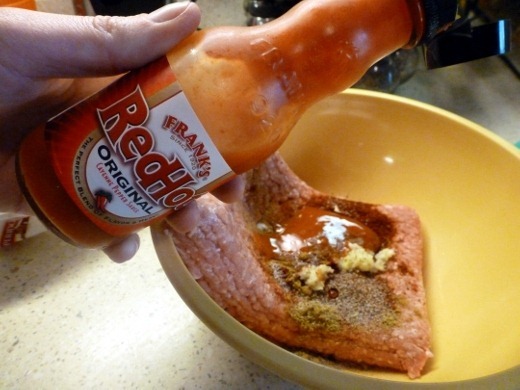 A few minutes per side in a skillet, and boom – dinna! 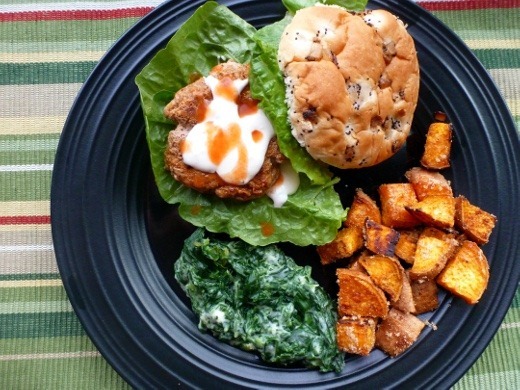 Creamed spinach and roasted sweet potatoes on the side – making their regular weekly appearance. Burgers are tricky to photograph. These Buffalo Turkey Burgers were solid and I’d recommend them. Find the recipe over at Taste of Home! After dinner, everything that has piled up on my coffee table has enticed me. 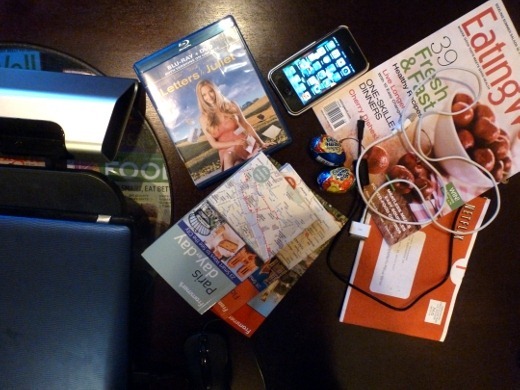 Somehow this table in our loft tends to pile up with all my favorite goodies – laptop, iHome speaker + iPhone, my Europe travel guides (ordered my Florence & Tuscany guide this week to go with my Paris and Rome guides! ), new cooking magazine, Letters to Juliet Blu-ray (just bought it – such a cute movie, and gets me excited to visit Italy!) and a Netflix vid. Oooh, and two Cadbury eggs I am waiting to savor! Tonight might be the night for one of those babies. I think it’s time to go watch that Netflix DVD – Part III of Mildred Pierce. I’m lovin’ it!